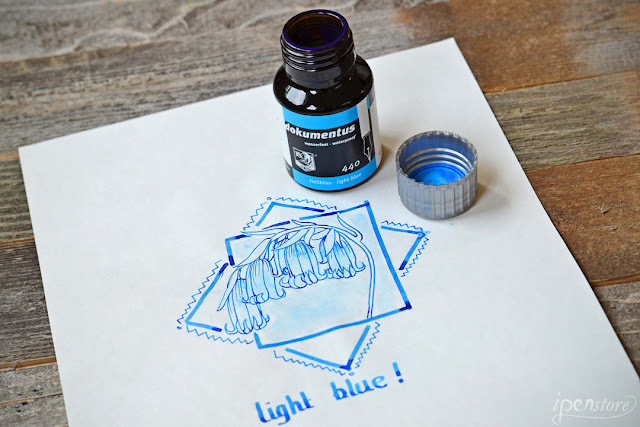 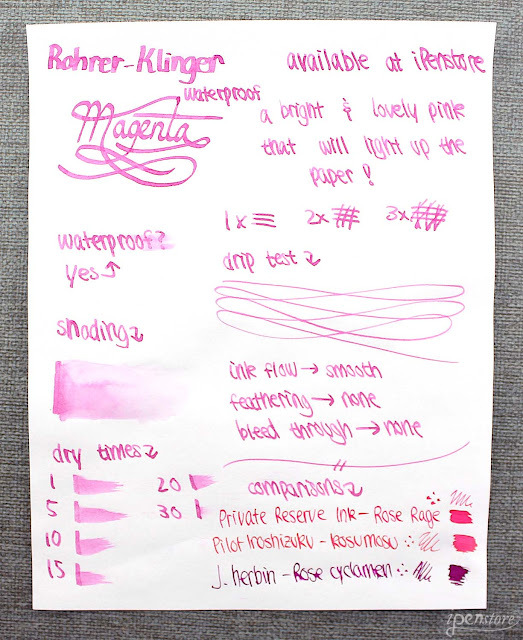 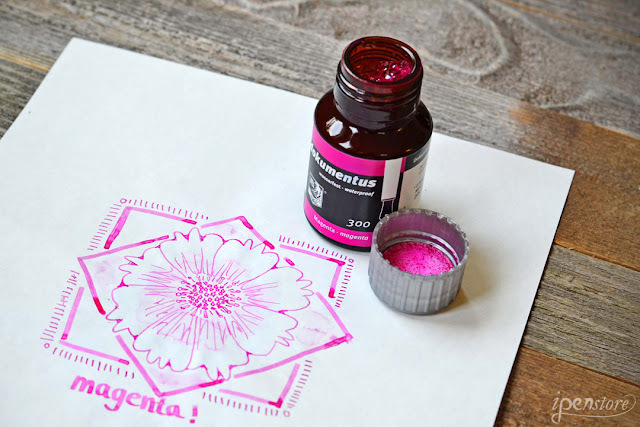 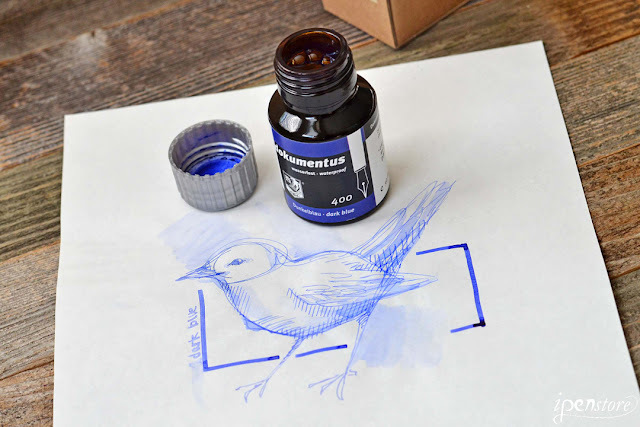 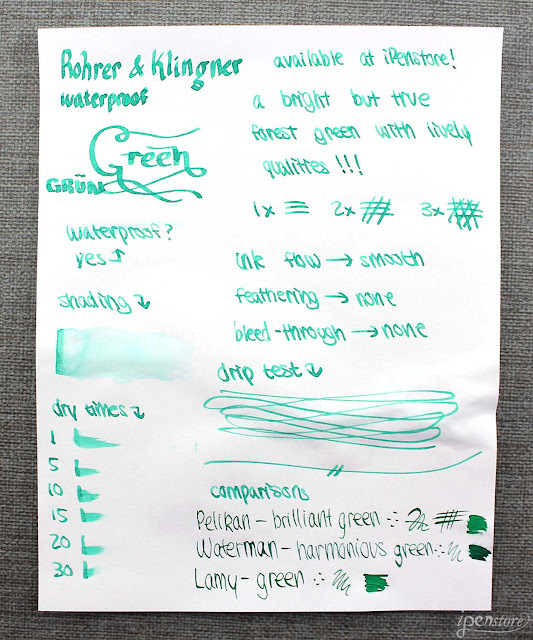 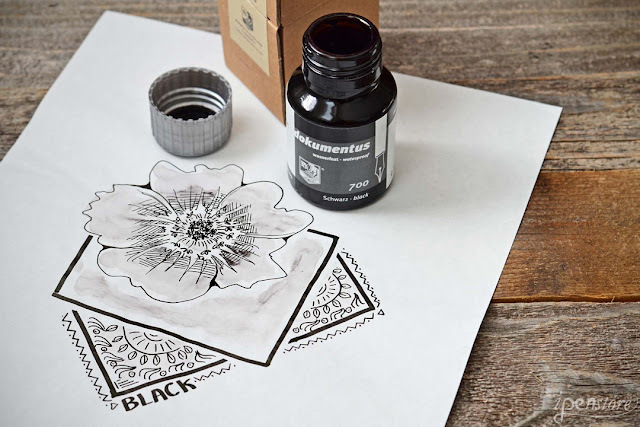 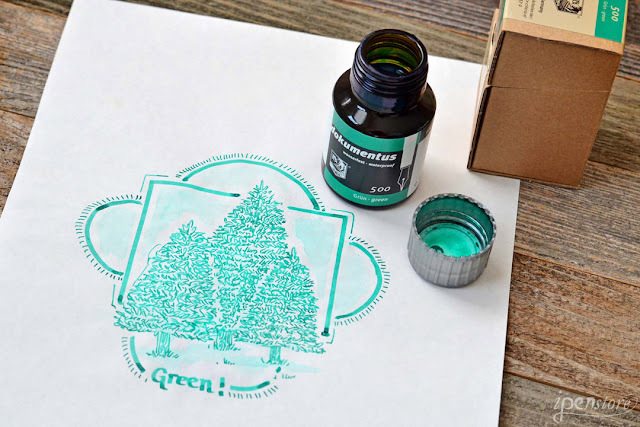 Rohrer and Klingner Dokumentus Waterproof fountain pen ink is the world's first fountain pen ink conforming to the resistance requirements of ISO 12757-2- the International Organization of Standards. 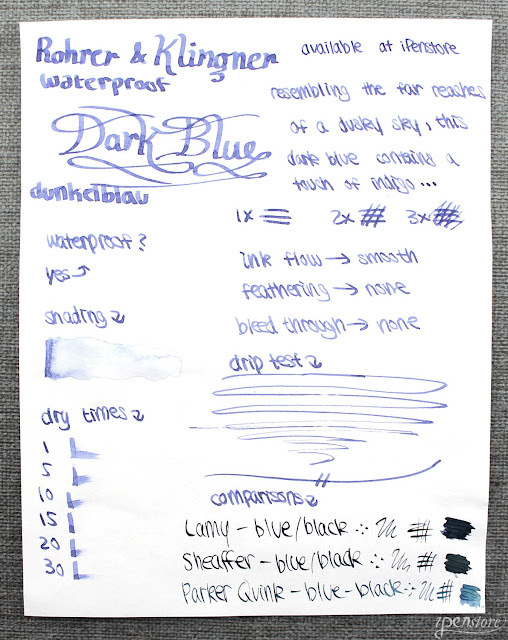 12757-2 assures this ink can be used for registrars for official documents. 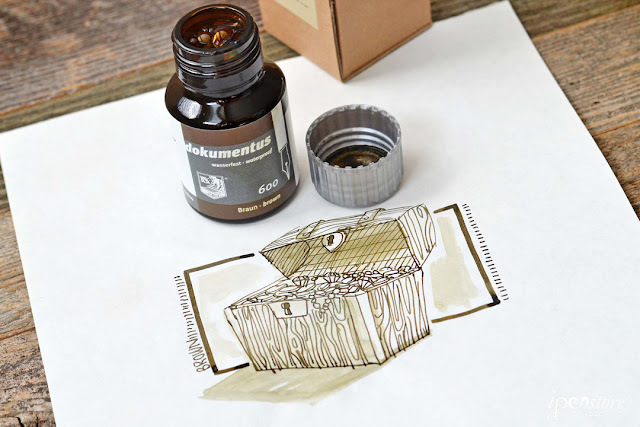 This ink is formulated to guarantee permanent and archival writing. 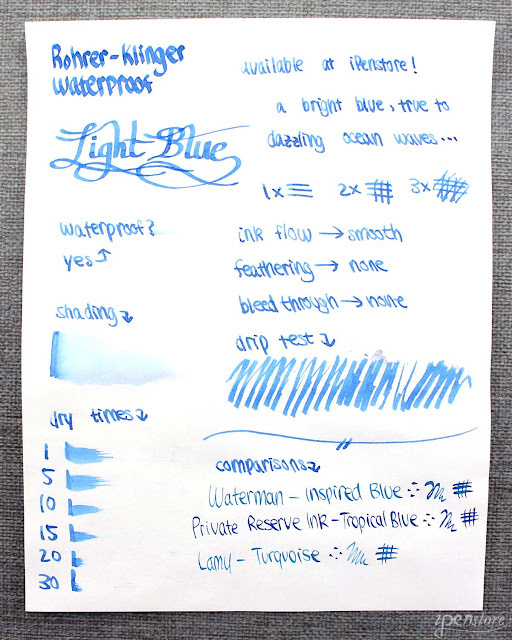 It is waterproof and won't fade over time. 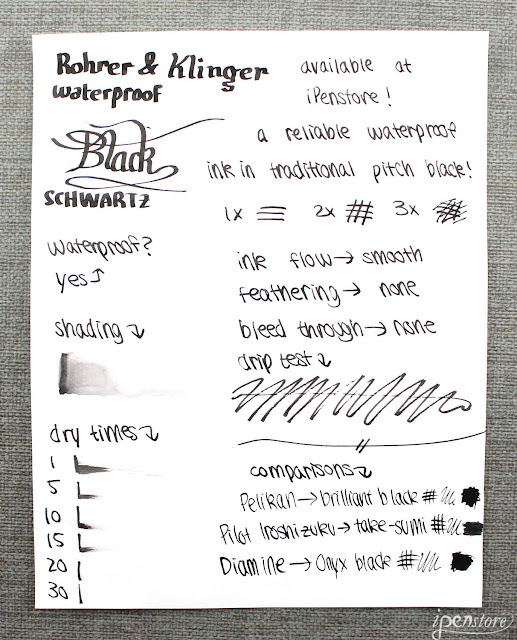 Rohrer and Klingner recommends that you should be sure to replace the cap on your fountain pen after use to prevent blockages in the nib. 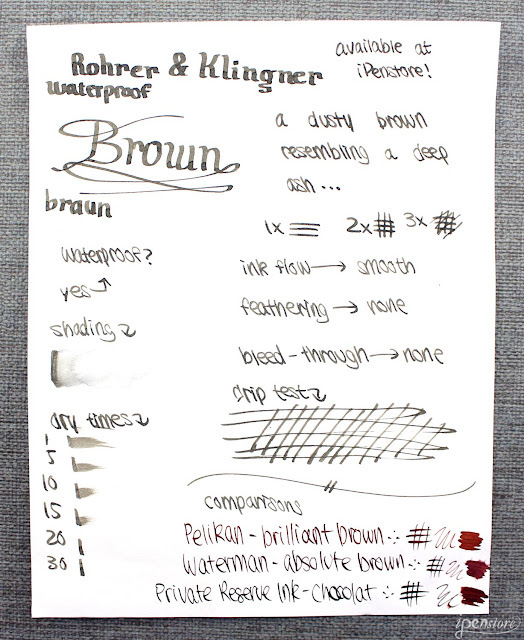 Beyond that, there is no special care needed for this ink. Scroll down for a sample of artwork and our rigorous test process for more information about these inks!